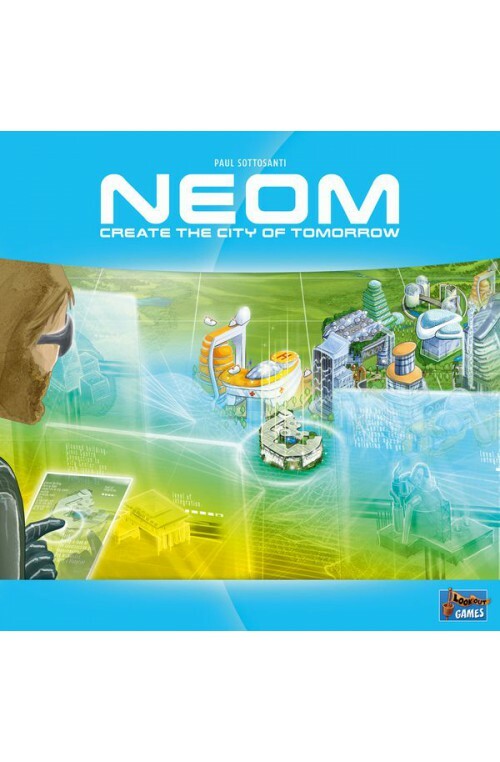 NEOM is a modern city-building game featuring simultaneous drafting and tile placement that takes inspiration from games such as 7 Wonders, Carcassonne, and Sim City. Players compete to build the most impressive city utilizing a tree of 17 different goods (from three different tiers) that can each be unlocked, allowing the placement of increasingly powerful tiles as the game progresses. 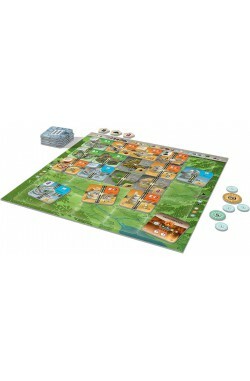 Tiles also feature roads which must be connected without being rotated, meaning that players must always plan their city layout with an eye to the future. NEOM has been in development for seven years and the rules and tile set have been iterated on over the course of more than 3,500 games logged in a custom online prototype, leading to an exceptionally well balanced game with a wide variety of viable strategies.